Our iRobot Roomba reviews dive into the world of robot vacuums and help to break down the differences and performance capabilities in each model. So without any further ado, let’s dive into the best Roomba robots for 2019. What makes each Roomba model best? 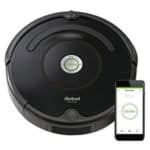 Best Overall: Roomba 690 is best if you have a small to medium sized floor plan and are looking for an amazing value with well-rounded features for the money. Best Budget: Roomba 675 is best if you want the best budget Roomba on the market. Best Convenience: Roomba i7+ is the best if you want to plug the Roomba in and basically forget about it. The i7+ self empties its dust bin. Best Performance: Roomba e5 is best if you want exceptional cleaning performance, but don’t want to pay the premium for the i7 / i7+. Best for Large Floor Plans: Roomba 980 is best if you have a large or complex floor plan and need a super long run time (Roomba 960 is a close 2nd in this category). Runtime ~90 mins ~90 mins ~120 mins ~75 mins ~90 mins ~75 mins. ~90 mins. As the name “Roomba” becomes more commonplace in the home, the need for Roomba reviews follows. Are these robot vacuums all they appear to be? Can an automatic vacuum really clean as well as an upright, like the Dyson, or stick like the Shark? However, you get these features for less compared to many robot vacuums. Long run time. Roomba 690 comes equipped with a sizable lithium-ion battery, allowing it to run for around 90 minutes. Excellent cleaning performance. During our cleaning tests of the 690, its performance wasn’t that far off from the Roomba 980 or the 960 (see Roomba 690 vs 960 review here). Scheduled cleanings. The 690 does include scheduling, which you can set up through the iRobot app. No recharge & resume. It does not include the recharge and resume feature, so for larger homes, you may have to manually run it a couple of times. Basic navigation. The 690 uses iRobot iAdapt 1.0 technology. This is the company’s standard “bump and continue” cleaning pattern. It’s certainly more random than the more advanced iRobot vacuums, but it still gets the job done. No digital cleaning maps. If digital cleaning maps are a top priority, you may want to keep looking past the 690, as this model won’t be able to generate those. Pro Tip: If you do want to give the 690 a longer run time you may consider upgrading the battery. There are quite a few options that provide significant increases in battery capacity for the 690 (as well as other Roomba models). 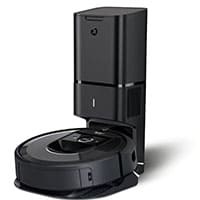 None of the vacuums in the Roomba line up are particularly difficult to use (especially compared to other robot vacuums we’ve testeed, for example, the Samsung Powerbot). To start a cleaning, simply click the cleaning button once to wake up Roomba and one more time to make it go. Want to stop it? Just click it again. It’s ultra-intuitive. The Roomba 675 is a newer base level model, launched in 2018 by iRobot. It has many of the similarities to the Roomba 614, but with one key difference—wifi connectivity, which makes its one the best choices for a budget-friendly Roomba. 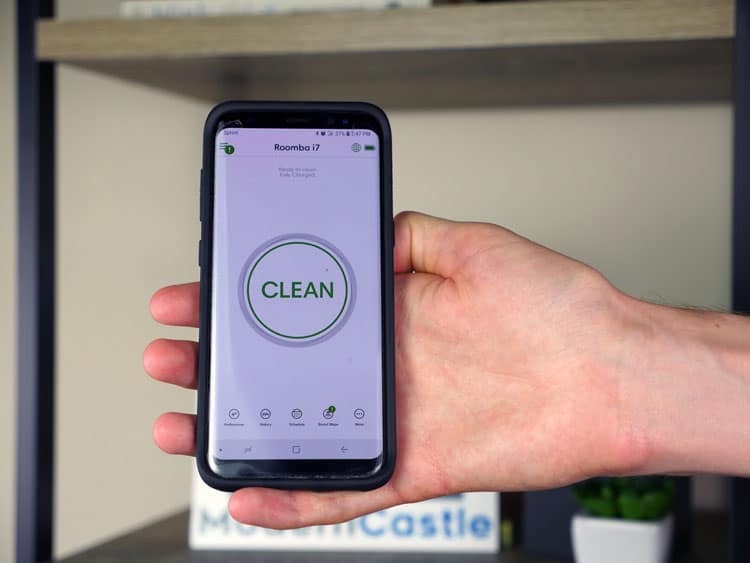 Wifi on the Roomba 675 takes the basic features of the Roomba 614 and puts them at your fingertips, allowing you to control the vacuum with your smartphone, tablet, or even voice control (when paired with a voice-enabled device). Long run time. The Roomba 675 has the same 90-minute run time as the Roomba 690 and Roomba e5. Like the other base level models, there is no Recharge and Resume feature for extended run time, but 90 minutes is quite a long time to tackle most areas (depending on levels and complexity). Wifi connectivity. Unlike older models, the Roomba 675 offers scheduled cleanings as well as hands-free use when paired with a smartphone or tablet. You can start, stop, or review cleaning cycles directly from your phone. Basic filtration system. The Roomba 675 uses the AeroVac filtration system, which is the more basic system of the two on the market today (AeroVac vs. AeroForce). It is a simpler type of filtration that is paired with a bristle style brushroll. Basic navigation. The navigation on the Roomba 675 is basically identical to the Roomba 690. It has a “bump and continue” approach, slowly bumping its way around the home and turning around as it encounters obstacles. No full bin indicator. The basic nature of this model means no full bin indicator light or notifier. How does the 675 navigate? A sensor at the front of the vacuum help it to identify obstacles around the area and edge sensors on the underside help the vacuum to avoid dangerous “drop zones”, for instance, lofted spaces or stairs. This system is built around the iAdapt 1.0 technology. Newer models operate on iAdapt 2.0 technology that has a way of sensing obstacles before bumping into them. The Roomba i7+ is the top-of-the line Roomba that’s currently on the market. It is the only robot vacuum tested to date that has a self-emptying dust bin and has the best cleaning performance that we’ve tested to date. Self-emptying dust bin. The on-board dust bin can automatically empty into the Clean Base up to 30 times before needing to be emptied. And even when it’s emptied, the bag in the Clean base can be reused until it wears out (which should be many years). Extendable run time. The Roomba i7+ can run for 75 minutes without stopping. With the Recharge & Resume feature, it can clean for over 2.5 hours (charging two times in the middle of the cycle). Top-notch navigation. The Roomba i7+ uses a navigation technology even more advanced than the iAdapt 2.0 technology from the 900 Series Roomba. For the sake of naming it, we can unofficially call this technology the iAdapt 3.0, since it is a step above the 2.0 version. The Roomba i7+ can create digital maps so it knows where it has been and show you cleaning summaries after it is all through. Very expensive. The Roomba i7 and i7+ come in at the very top of the Roomba pricing range. If you go with either of these models, you’ll need to be willing to pay a pretty penny. Need to replace dust bags. Although the dust bin in the vacuum itself is self-emptying and washable, the dust canister in the Clean Base is a physical bag. The bag can be emptied and reused, but periodically, it may need to be replaced. As a side note, the actual robot body of the i7+ is identical to the body of the i7. The only difference between the two is the self-emptying charging base. See our full Roomba i7 vs. i7+ review here. The i7 and i7+ bring a new technology called Imprint Smart Mapping, which allows you to create named zones, like “kitchen”, “living room”, or “bedroom”. When paired with Amazon Alexa or Google Home you can also use voice control to say things like “Roomba, clean the kitchen” and it will get to work. RELATED – See our Amazon Alexa Echo Dot review, a great way to add inexpensive voice control to your smart home. The filtration system with the i7+ is also a big change for Roomba. Breaking away from the older AeroForce filter, the new filter that comes with the Roomba i7+ is about half the size of the previous filter. This filter takes up less spaces, is more efficient, and allows for a larger dust bin (0.5 L on the Roomba i7+ and only 0.3 L on the Roomba 980). The Roomba e5 robot vacuum is one of the newest models introduced by iRobot. It shares many similarities to the Roomba i7 / i7+ with specs and software, with a level of cleaning performance that is also similar. Long rung time. The Roomba e5 can run for up to 90 minutes minutes without stopping. The e5 model does not come with the Recharge and Resume feature so once that 90 minutes is up, it will need to fully recharge before gearing up for another cleaning cycle. Memory mapping. The Roomba e5 utilizes iAdapt navigation to clean each area. Since there is no on-board memory mapping, iAdapt is paired up with Memory Mapping, which helps the e5 to know where it is and identify where else it needs to go. Advanced filtration. The Roomba e5 uses the advanced filter, identical to that of the i7 and Roomba i7+. The actual filter is much smaller than the older AeroForce filter. The dust bin is 0.5 L, which is the same size as the i7 vacuums. The dust bin is also washable. No recharge & resume. There’s no Recharge & Resume feature, but using memory mapping technology, it can intelligently navigate the space with straighter lines and more logical patterns. Is the e5 user friendly? The usability of the Roomba e5 is easy to understand. It has wifi connectivity so it can be controlled directly from your smartphone or using voice control when paired with an Amazon Alexa device. The Roomba 980 is a tier below the i Series in most cases, but the on-board camera is one feature that continues to make this model (and the Roomba 960) two of the best Roomba choices if you’re looking for excellent navigation across large floor plans or complicated layouts. Extendable run time. The Roomba 980 can run for up to 120 minutes without stopping. With the Recharge & Resume feature, it can clean for up to 6 hours (charging two times in the middle of the cycle). Digital mapping. The Roomba 980 uses iAdapt 2.0 technology for advanced navigation that moves in more logical, straighter patterns. The 980 model can also create digital maps as it cleans, which helps it to know where it’s been and areas that still need to be cleaned. Power boost. The Roomba 980 has a higher suction mode called Power Boost. Power Boost provides a little extra boost of suction when cleaning difficult spaces like dense carpet or high-traffic area rugs. The Roomba 980 also has advanced Dirt Detection for a better all-around deep clean. Struggles with fine debris on carpet. During our cleaning tests, the Roomba 980 struggled with fine debris (sugar) on high pile carpet. A little noisy. When used on low pile carpet or hardwood floors, this model was a little noisy, running around 70 dB from approximately 3′-0″ away. What are the best Roomba models? The iSeries contains Roombas newest models to hit the market. These models have a few similarities, but also come in at a range of price levels depending on what exactly you’re looking for in a robot vacuum. The Roomba i7+ is the top-of-the line Roomba model. If you’re willing to foot the bill. The i7+ also has one of the highest level of cleaning performance across the entire Roomba lineup. Fine debris, like sugar, which was once the kryptonite of Roomba models is no match for the Roomba i7+. The i7 averaged 99% cleaning performance across all floor and debris types. The self-emptying dust bin in the vacuum connects to the larger dust bin located within the charging base. The clean base can hold up to 30 loads from the i7+ robot vacuum, meaning less time emptying the dust bin. 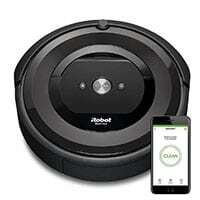 See our complete Roomba i7+ review for more information. 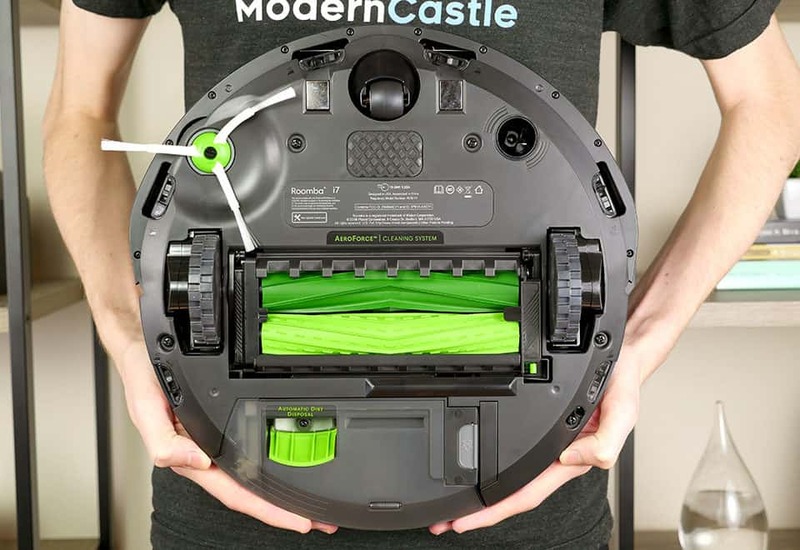 If you like the look and performance of the i7+, but aren’t quite ready to bite the bullet and splurge for the self-emptying dust bin, you may want to consider the Roomba i7. The i7 model is the exact same robot vacuum as the i7+, but without the self-emptying the dust bin. The best part is that if you use the i7 and ever decide that you would like to add this feature, it’s completely compatible. You can purchase the Clean Base directly from iRobot.com and may be available from third party retailers in the future as well. The Roomba e5 is the must budget-friendly model in Roomba’s new iSeries. 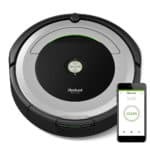 Price and features wise, it seems to be pretty comparable to the Roomba 890, but the cleaning performance got a dramatic upgrade. Just like the i7+ and i7, sugar on high pile carpet is no match for the Roomba e5. Across all floor types and against all debris types, the e5 averaged a cleaning performance score of 99%. All three models currently in the iSeries have the same advanced filtration system. Roomba doesn’t seem to give it a fancy name, but it’s a clear improvement over the recent AeroForce and older AeroVac models. The filter is smaller in the iSeries models, allowing for more efficiency as well as slightly larger dust bins. See our complete Roomba e5 review for more information. The 900 Series Roomba robot vacuums includes robot vacuums that are one tier below the iSeries, but still highly advanced. Instead of a centrally located “CLEAN” button, the 900 Series puts a navigational camera at the center of the unit. With this new technology, 900 Roomba models also can generate digital map reports, so you know exactly where it’s been cleaning. All 900 Series Roombas are wifi-enabled to work seamlessly with the iRobot Home app. The Roomba 980 is the most advanced model. It includes all of the features of the Roomba 960 model, but also introduces “Power Boost,” which is an automatic temporary increase in suction power that you can use when cleaning dense carpets or thick area rugs. The 980 has Smart features like wifi and can connect to iPhone or Android users via an app, Amazon Alexa, or Google Home. Similar to the 960, the Roomba 980 also has the increased run time, can recharge and restart itself, and has the increased navigation power to clean multiple rooms. These added bells and whistles help to increase performance and convenience when vacuuming a home. See our complete Roomba 980 review for more information. The Roomba 960 is a part of the 900 Series, which is a significant step up, both in terms of price and features, compared to older series models. This model was the first Roomba to venture away from the center CLEAN button configuration. Compared to the 800 Series, it has many of the same functions like drop detection, dirt detection, scheduling, and wifi control. It also includes improved roller brushes and the AeroForce filtration system. The Roomba 960 does everything that the 800 Series does, but has a longer run time, is better equipped to clean multiple rooms, and can recharge and restart itself up to 3 times to complete larger cleaning jobs. See our complete Roomba 960 review for more information. The 800 Series Roombas are one step below the 900 Series models. Without the advanced central camera, the 800 Series Roombas lack the advanced navigation and digital mapping that the 900 Series Roomba have. They do have the advanced AeroForce filtration system though, something that is lacking in the 700 and 600 Series Roombas. The 800 Series Roombas have a mix of wifi-enabled and non-wifi-enabled models. The Roomba 890 is a considerable step up over the 600 Series. The Roomba 890 does everything the 600 Series does, like spot cleaning, dirt detection, drop detection, scheduling and wifi control. It also includes improved roller brushes that are less likely to tangle as well as an improved filtration and vacuum system, called the AeroForce. The Roomba 890 has a metallic bronze look to it and still features the classic central “CLEAN” button in the middle of the unit. See our complete Roomba 890 review for more information. The Roomba 880 does not have wifi connection but does include an improved navigation and the ability to clean multiple rooms in one cleaning cycle. Using virtual walls (included), you can confine the Roomba to one particular room to clean or use it to keep the Roomba out of more sensitive areas. Performance wise, it’s comparable to the 890, but without the smart features like wifi app connection or the ability to connect to Amazon Alexa. The Roomba 870 is slightly more advanced than the vacuums in the 700 Series. Although it lacks the Smart features like wifi app control or the ability to connect to Amazon Alexa, the 870 does have improved roller brushes that are less likely to tangle and includes the more advanced AeroForce cleaning system. See our complete Roomba 870 review here. The Roomba 860 robot vacuum includes the AeroForce cleaning system with the advanced dual-rubberized brushrolls. You can schedule cleanings using the buttons on the top of the robot or simply press “CLEAN” for a manual cycle. The 860 model also includes the newer Lighthouse virtual barrier, versus the older standard style barrier like you, get with the Roomba 870. Aesthetically, the 860 model has a light silver body with a black accent in the middle. The 860 doesn’t seem to be totally discontinued, but it’s also not widely available. The Roomba 805 has many of the same features as newer 800 Series Roombas, like AeroForce filtration and new dual rubberized brushroll. Schedule a cleaning or manually press the “CLEAN” button. As an added bonus, the 805 model includes two Lighthouse virtual barriers, unlike many other models which only include one or include the older style, which is not as usable. The Roomba 801 seems to have been discontinued by iRobot and it’s quite difficult to find. It is still available from some third-party sellers, but for all intents and purposes, the Roomba 890 robot vacuum replaced the Roomba 801 and is the most similar. Click here to read the full review of the Roomba 890. The Roomba 700 Series includes robot vacuums that are a bit more rare. For whatever reason, vacuums from the 600 Series are still popular for the budget-friendly cleaner and vacuums from the 800 Series are popular for those looking for a boost in performance, but there are not many models lasting from the 700 Series. This could be due to it’s lack of differentiation from the 600 Series. Although each model varies slightly, the biggest change that the 700 Series brought is the integration of a full bin indicator light. A nice add, but not exactly a real game changer in terms of cleaning performance. The Roomba 790 is one of the more unique Roomba models in that it has a metallic blue body and is marketed specifically to clean up after pets. It offers iAdapt 1.0 navigation, advanced dirt detection, and three virtual wall barriers. The virtual barriers are the newer “Lighthouse” style, an improvement over the standard virtual wall barriers. The Roomba 790 also includes a remote control for easier usability. This model runs off of the old AeroVac cleaning system, a step below the advanced AeroForce system in newer models. While this model isn’t entirely off the shelf, it is has been widely discontinued in place of newer models. It has HEPA filtration, although it is the AeroVac system, a step down from the advanced AeroForce filtration system that’s common in newer models. The 780 can have scheduled cleanings, manual cleanings, or be controlled with a remote control. Like the Roomba 790, it seems to have been mostly discontinued. However, it’s still possible to find it via some retailers. For most users, you’ll be better off stepping up to the Roomba 890. Or if you want something more budget-friendly, go with the 690. The Roomba 770 would be most comparable to the 650. The advantages of the 770 model are the dual HEPA filters, an additional virtual wall and dust bin notification (when full). This can be a nice feature for users who suffer from allergies or sensitivities to pet dander or other small debris. The dual-filter system was a design that came after the AeroVac but before the AeroForce. The disadvantages of the dual filter would mean twice the filter replacement costs. The Roomba 770 is not as widely available for purchase, so it can be difficult to find and needlessly expensive. The Roomba 761 is another model from the 700 Series that has been mostly discontinued. There are still a few select retailers who source this vacuum, but it is no longer sold directly by the manufacturer. The Roomba 650 or 690 would be similar in performance, but more widely available. The 600 Series Roombas are the most basic Roombas on the market but make no mistake; these budget-friendly robots can still provide a powerful clean. The Roomba 614 is the base model of current Roombas on the market. While these 600 Series models don’t have fancy navigation, advanced filtration, or full bin indicators, they can still get the job done for many homes. The Roomba 690 is budget, but featured packed robot vacuum. The 690 offers performance that competes with many higher end robot vacuums, while also having a lengthy 90 minute run time and wifi connectivity. The Roomba 690 is a nice step up if you’re looking for the added Smart features, but don’t want the higher price tags of the newest models. The Roomba 690 also uses the AeroVac system for filtration and debris collection and has an updated silver and black aesthetic. Check out our complete Roomba 690 review here. The Roomba 665 uses iAdapt 1.0 navigation and has no wifi connection. The 665 model supports scheduled cleanings or manual cleanings and comes with one dual-mode advanced virtual barrier. The Roomba 655 is certainly not a common model by any stretch. It was similar to the Roomba 650 so it seemed to drop off the market fairly quickly and is virtually discontinued from the majority of third-party sellers today. The Roomba 650 would be comparable to the 614 model. It’s basic as far as performance and systems, but it does have the added feature of scheduling. The Roomba 650 has no wifi connection, like its successor, the Roomba 690, but if app control is not a deal breaker for you, choosing the 650 will save you a few dollars. Check out our Roomba 650 review here. The Roomba 620 runs off of iAdapt 1.0 navigation and the AeroVac filtration system. It uses a bristle-style brushroll and can run pre-programmed scheduled cleaning cycles or manual cycles using the “CLEAN” button. Although this model is not entirely discontinued from select third-party vendors, it is certainly on its way out the door. If you like the style and price of the Roomba 620, I would recommend checking out the Roomba 675 or Roomba 690. The Roomba 614 is a basic model, but still covers most of what you’d want in a robot vacuum. This model does not offer scheduling, but it self-charges and has dirt detection, drop detection, and basic navigation capabilities. You can also spot clean difficult areas. The Roomba 614 uses the AeroVac system for filtration and debris collection. As you might guess from the low price, the Roomba 614 does not offer wifi capabilities or the ability to control using an app or other smart devices. See our Roomba 614 vs. 690 comparison review here. The Roomba 500 Series is going back pretty far in the Roomba vault. These models, although originally popular, have now been basically discontinued. However, we’ve still included some high-level information on several of the most popular models in case you want to pick up a used one. The Roomba 560 is certainly one of the older models on the market. It is widely discontinued and only available from a select number of third-party vendors. If you can even find one, it’ll have the older AeroVac filtration system and the old style of virtual barrier (not dual-mode). If you’re looking for a similar model that is more up to date, I would recommend the Roomba 650 robot vacuum. The Roomba 550 robot vacuum is a model that is widely discontinued. If you are able find it available for purchase, you should know it uses the AeroVac filtration system, has drop detection, a self-charging base, and dirt sensors. The 550 also includes three replacement filters and two barrier walls (the older style). For an updated version of the Roomba 550, I would recommend checking out the Roomba 600 Series (see above). The Roomba 530 robot vacuum is a model that is widely discontinued. However, you may be able to find it at some retailers, refurbished, or used. It includes two virtual walls, drop detection, bristle-style brushrolls, dirt detection, and self-charging / docking. For an updated version of the Roomba 530, I would recommend checking out the Roomba 600 Series. The iRobot HOME app works with any Roomba robot vacuum that uses wifi. This wifi connectivity allows the vacuum to pair to your phone or tablet and gives users greater control and customization of their cleaning cycles. What Does The Roomba App Do? Start or pause cleaning cycles. Monitor activity of your robot vacuum. Turn on notifications during a cleaning cycle. Most Roomba use one of two types of filtration systems— AeroForce (advanced) or AeroVac (basic). The iSeries is the one exception which uses an advanced filtration system above the AeroForce. The iSeries filter is the smallest of all three and also allows for the largest dust bin capacity. Maintaining any of these filters is fairly straightforward. Remove the dust bin from the Roomba. If it’s extra full, you may want to do so over a trash can so you don’t accidentally drop any debris. After you empty the dust bin, pull the filter from the dust bin encasement. Depending on the exact model, it may come out by pressing a small pressure clip (AeroForce models) or by pressing the sides of the filter together (AeroVac models). Bump the filter against a trash can several times to help dislodge particles and clear debris. Re-install the now clean (or at least cleaner) filter. You will periodically want to replace the filter. The AeroVac system includes a small dust bin and the filter has a soft curve to it that was designed to increase airflow and guide debris to the back of the bin, making it easier to empty. The AeroVac system uses a dual brushroll system that include one large bristle-style brushroll at the front of the unit and a smaller plastic paddle brushroll designed inside the unit. This system is also designed to effectively agitate and collect debris as it cleans. One drawback to the bristle-style brushrolls is that if you’re collecting a lot of pet hair, this style tends to tangle more than the AeroForce system brushrolls would. The AeroForce system uses a small rectangular advanced filter for high-efficiency filtration of small particles. The AeroForce system allows for 60% more bin capacity than the AeroVac system. The AeroForce system uses a dual rubberized brushroll system that is more effective at reducing tangles from pet hair or long human hair. The rubberized brushrolls spin in opposite directions from each other, helping the system to effectively agitate and collect debris as it cleans. The iSeries filtration system is the most advanced of all of these systems mentioned. The filter itself is about 1/3 the size of the AeroVac filter and about half the size of the AeroForce filter. The smaller filter size allows for a larger dust bin capacity. The brushrolls included with the iSeries robot vacuums closely mimic the looks of the dual-rubberized AeroForce brushrolls, but with an updated color palette and slightly deeper v grooves. This redesign helps to allow for some of the best cleaning performance we’ve seen from Roomba to date. iAdapt Navigation is Roomba’s driving technology that helps Roomba navigate around unique spaces. As it cleans a room, it adapts to its surroundings and over time most models will learn to map their environment. This internal mapping usually means less trial-and-error and less bumping into your furniture or walls. This iAdapt technology also equips these robot vacuums with the intelligence they need to get out of tight spots, prevent tangling cords, and navigate through tricky furniture pieces like chair legs or sofas. iAdapt 1.0 was Roomba’s first iteration of navigation technology. It relies on an array of sensors, which result in a somewhat random, “bump and continue” approach. These Roomba models would softly knock into walls, furniture, and other obstacles, and continue in modified direction to avoid the obstacle. iAdapt 2.0 is the second iteration of navigation technology and includes Visual Localization. In this second version, Roomba houses a new camera and sensor that more accurately maps the rooms, allowing these robot vacuums to navigate an entire level of a home, while still maintaining its location. This is currently, the newest navigation technology that iRobot has released (as of June 2018). This last level of advanced navigation doesn’t have a fancy name from Roomba, so for the sake of simplicity, we’re going to call iAdapt 3.0 and it comes standard with the i7 and i7+. This navigation has the straighter lines, like in the iAdadpt 2.0, but also integrates a new technology called “Imprint Smart Mapping”. What is Imprint Smart Mapping? This is basically the ability to imprint (or name) a space within your home for Roomba to quickly refer to later. You can name spaces like Kitchen, Bedroom, or Living Room. When it’s time for some spot cleaning or your specifically want your Roomba to start a cycle is a certain space, you can use the imprinted name to help guide Roomba. The i7 and i7+ also allow for voice command so if you’re Roomba is paired with an Alexa device you can verbally call out the area you want it to clean. Virtual wall barriers are small devices that emit a solid infrared light. While you won’t be able to see the light across a room, your iRobot Roomba will. This will help to prevent them from accessing areas they shouldn’t or rooms you don’t want it to go into. The original virtual barrier can block a linear area up to 10′ in length, for doors, open areas, or sensitive parts of a room. This barrier uses infrared light to wirelessly communicate details about the space to the robot vacuum. This barrier is battery-powered and has an “auto” mode so it only uses battery power when it detects that the Roomba is nearby. More advanced Roombas feature the more advanced dual mode barrier. These barriers can serve two basic functions. These barriers are great due to their versatility. I am currently using several in my home, mostly to keep Roomba away from more sensitive areas where there are lots of cords and computer equipment. A select few older Roomba models use a lighthouse barrier. The Lighthouse has a dual-function and can be used to block off a particular room or be used to help draw the Roomba into specific rooms or areas of your home. This can help Roomba reach spots that might be otherwise hard to clean. As a lighthouse, this barrier communicates with the vacuum, directing it to clean one room entirely. The Lighthouse emits the infrared light to block off other areas. Once a room is completely clean, it will automatically turn off the infrared light and allow the vacuum to continue cleaning into the next room. The Lighthouse barrier is only available on select 500 series models, as well as the Roomba 780, 790, and 880. The list below includes additional features that Roombas can do. At the bottom of each feature is a short list of which Roomba models have the listed feature. One feature that is common on many Roomba models is the ability to schedule a cleaning. Scheduling can be done directly on the robot itself, through a menu panel, or from the iRobot HOME app (for Roomba’s that have wifi connectivity). Scheduling allows the Roomba to clean your home at specific times and on specific days. Select the same time, 7 days a week, or choose varying times depending on the day. In addition to scheduled cleaning, the Roomba still has the option to clean at any time by pressing the CLEAN button at the center of the unit. Current Roomba models with the ability to schedule a cleaning include Roomba i7, Roomba i7+, ROomba e5, Roomba 980, Roomba 960, Roomba 890, Roomba 870, and Roomba 690. Recharge and resume is a newer feature to hit the Roomba line. This technology allows the Roomba to clean, return to the charger, and then resume cleaning again where it left off. This is a great feature for larger homes or homes with a lot of obstacles that may take longer for the Roomba to navigate. Current Roomba models with the ability to Recharge & Resume include Roomba 980 and Roomba 960. Similar to “Dirt Detect,” all Roomba’s come equipped with a similar technology called “Cliff Detect,” which helps to prevent the robot from driving off of ledges, lofts, or stairs. All current Roomba models are equipped with Drop Detection. Many Roomba vacuums also come with laser wall barriers, but with the Cliff Detect technology, it is not necessary to use your virtual wall barriers in these instances since it is already built with the technology to protect itself from these types of obstacles. Roomba’s dirt detection technology, otherwise known as “Dirt Detect,” uses sensors within the robot that help to detect areas of higher traffic and more dirt. Using these sensors, the robot vacuum can sense an area and know to spend a bit more time on these dirtier areas. Dirt Detect can also be used for spot cleaning or quick touch-ups of busy areas. All current Roomba models are equipped with Dirt Detection. The Roomba 980 and Roomba 960 have advanced levels of Dirt Detect technology, while all older Roomba models just have basic levels. Power Boost is a new feature, unique to Roombas in the 900 Series. This technology allows the Roomba to increase suction when it approaches higher pile surfaces, like a dense area run or carpeted floor. Roomba models with the Power Boost technology include Roomba 980 and Roomba 960. Sometimes you’re looking for a Roomba for a specific task. Whether you have a modern apartment of sleek finishes and glossy hardwoods or a busling family home with pets, kids, and carpet galore, there’s a Roomba for you. This is a guide dedicated specifically to Roombas and family pets. Put each Roomba to the test and see which would work best for you and your pet. Which Roomba Is Best for Me? So you’ve made it this far, but still not sure which Roomba is right for you? To help you make the best decision, here are two quick questions you should ask yourself. For a top-of-the-line Roomba with all the bells and whistles, you’ll have to pay a higher price. The 900 Series Roomba (Roomba 980 and Roomba 960) come in in the $$$ price tier, depending on sales and promotions. iRobot’s new Roomba e5 is a great replacement to the 890 with much better cleaning performance. The Roomba i7+ is an ultra bells and whistles robot, but is also super pricey at $$$$. If you’re looking for the best Roomba at the lowest price, it really is hard to beat the Roomba 690. For a budget-price, this vacuum provides a quality clean at a reasonable price. If you don’t care about the virtual wall that the 690 comes with, then you can save yourself a few bucks and go the Roomba 675. The 675 is almost identical to the 690, except for the virtual wall. The Roomba 690 and 675 also include scheduling and a wifi connection. These two features alone are major strides in having a vacuum that is easier to maintain and less work for you. 2. What features are you looking for? If wifi connectivity is a huge factor for you, consider the Roomba i7+, Roomba e5, Roomba 960, or Roomba 690. All of these come equipped with wifi-connectivity for easy control using the app on your smart device or via voice commands integrated into a total smart home system. If navigation of large and complicated layouts is a top priority for you, you’ll want a Roomba with the advanced iAdapt 2.0 navigational system, as well as Recharge & Resume technology. Currently, the only models with those features are the Roomba i7+, Roomba i7, Roomba 980, and Roomba 960 — but these models are more advanced and capable of taking on large square footage or complicated floor plans. All Roombas have the ability to self-charge when the battery gets low and have a run time of at least 75 minutes. They also all have at least basic levels of dirt detection and drop detection. All Roombas have front bumpers, a centrally located “CLEAN” button, and a release on the side of the vacuum that slides out the dust bin and filter compartment. These are just a few of the design features that make a Roomba a Roomba. Picking the right Roomba for your crew can be a big job, but I hope we’ve helped to make the task more manageable. If you still have questions, feel free to contact us directly and we’d be happy to make a recommendation specifically for your needs! January 25, 2019 – Updated page formatting. Added / corrected information based on Roomba changes and new models. 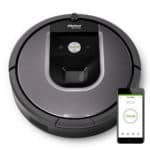 October 18, 2018 – Added information about the Roomba i7+, i7, and e5. Updated outdated information. Cleaned up several formatting issues. October 15, 2018 – Made a few small formatting changes, added a new updated comparison table to the top of the page. 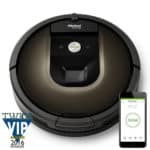 August 28, 2018 – Added Roomba 675 to top comparison table. More Roomba 675 information coming soon. June 21, 2018 – Overhauled the page with better formatting, better analysis, more information, and better images. November 14, 2017 – Original version of the page launched.